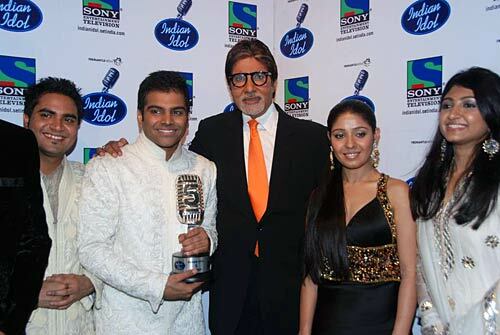 Sreeram has won Indian Idol 5 at a glittering event in Mumbai. Bollywood superstar Amitabh Bachchan declared the winner. 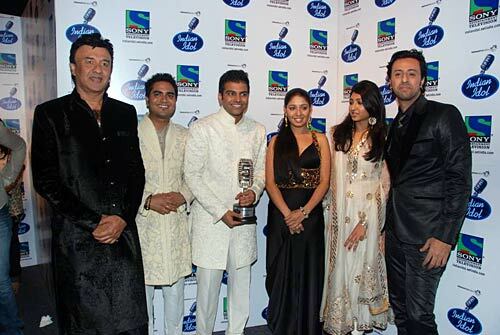 The judges Saleem Marchant, Sunidhi Chouhan and Anu Malik went along with the People’s decision. This year’s top 3 finalists Bhoomi Trivedi, Rakesh Maini and Sreeram Chandra performed during the final show. 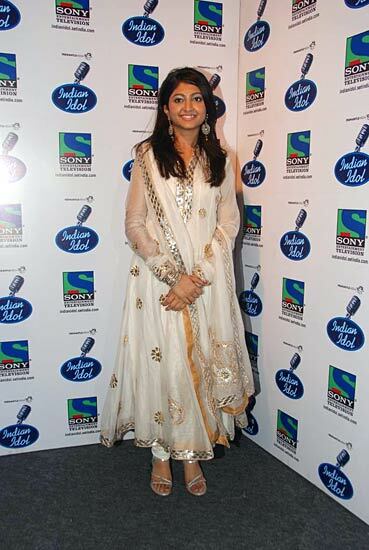 Bhoomi Trivedi was Radio Mirchi’s choice for Radio Jockey among the top 5 contestants of this year’s Indian Idol. Other Indian Idol contestants also sang the song “Vande Mataram” signifying India’s 63 years of Independence. Bollywood beauties Kareena Kapoor and Anushka Sharma also made an appearances at the final show adding glitter to the show. 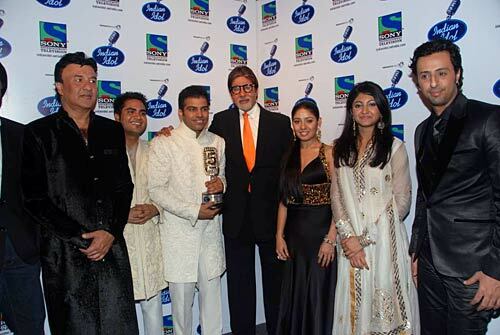 Indian Idol is a reality talent show and is hugely popular. The show has gone on to win hearts and at the same time has captured the imaginatio. Indian Idol 5 Grand Finale with top 3 contestants including Boomi Trivedi, Shreeram and Rakesh Maini. 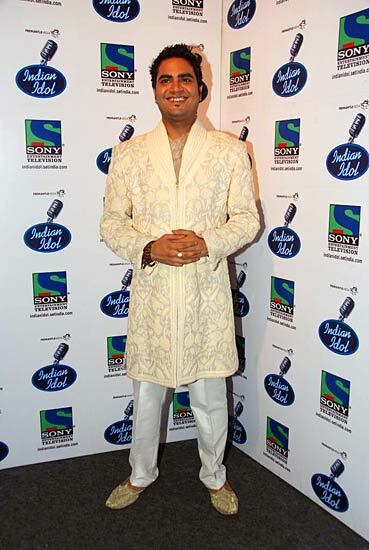 The Indian Idol 5 grand finale aired at 8:00 pm on 15th August, 2010 on Sony TV. 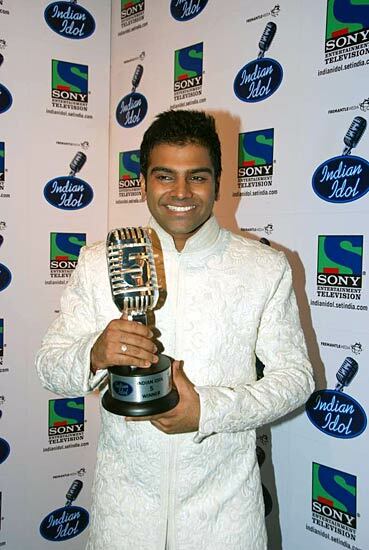 Hyderabad-based Sreeram Chandra has won the fifth season of music reality show "Indian Idol". 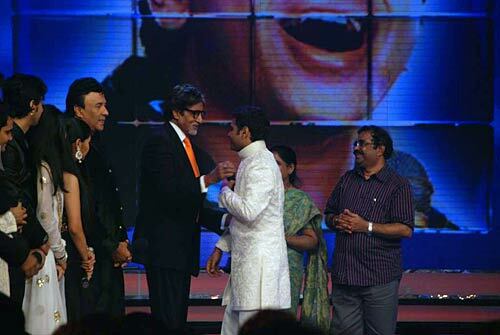 He was announced the winner by megastar Amitabh Bachchan. The 24-year-old singer pipped Rakesh Maini from Agra and Bhoomi Trivedi of Baroda to win the contest. Sreeram has been consistently performing well on the show and receiving compliments galore from the Who's Who of the Indian music industry. His victory on the show has landed him Rs. 5 million cash, one-year contract with Sony BMG, a Tata Winger car, and for the first time, a chance to sing a song in a Yash Raj Films' project. For Sreeram, winning the title on India's Independence Day is a special feat. Before winning the title, Sreeram said, "Independence Day has always been important. If I win, I will feel lucky that I have received my identity on a day when my country celebrates its independence. For the rest of my life I will celebrate this day as my victory day." The finale, held at the Filmistan Studios in Mumbai, saw a mélange of celebrities like Kareena Kapoor, Kailash Kher, Richa Sharma, Alisha Chinai, Shankar Mahadevan and to top it all Bollywood's Big B, Amitabh Bachchan, who is set to host quiz show "Kaun Banega Crorepati 4".